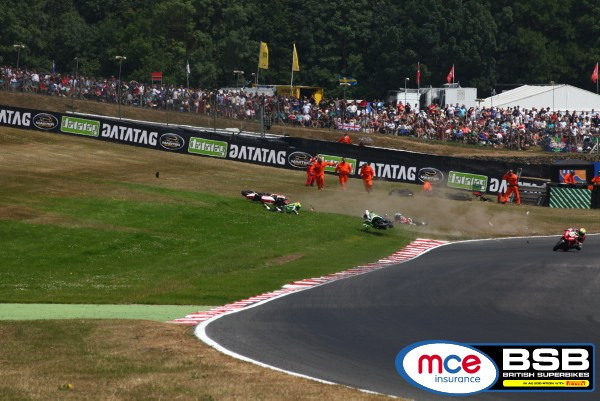 A determined Shane 'Shakey' Byrne put his race one crash behind him in the second MCE Insurance British Superbike Championship race on the Brands Hatch Grand Prix circuit to win again in front of his home crowd for the Rapid Solicitors Kawasaki team. Byrne got the lead on the opening lap with James Ellison and Alex Lowes in close contention with race one winner Josh Brookes tucked in to fourth position. The leading quartet were edging ahead until the Nissan GT-R Safety Car was deployed on the seventh lap when Halsall Racing Kawasaki's Lee Costello crashed at Sheene Curve. Byrne stacked the chasing pack up behind him and when the race resumed the Rapid Solicitors Kawasaki got a lightening restart with Ellison and Lowes going with him as Brookes and Ryuichi Kiyonari were beginning to be gapped. The Milwaukee Yamaha of Ellison was pushing Byrne over the closing stages with Lowes ready to make his attack too, but Byrne was determined to make amends and he just had the edge over Ellison on the final lap. 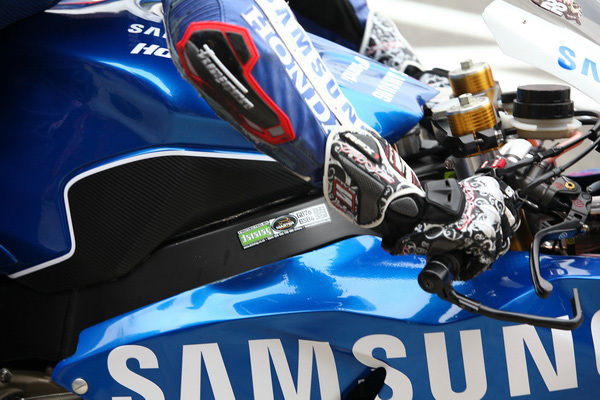 Lowes made it a double podium celebration in third with Brookes splitting the Samsung Hondas. The ongoing battle of the Buildbase BMWs continued in race two and a close tussle between the pair and PJ Jacobsen on the second of the Tyco Suzukis was eventually won by James Westmoreland who moved ahead on the fourteenth lap and fended off their challenges. Dan Linfoot was back inside the top ten for Lloyds British GBmoto Honda at their home round and Keith Farmer completed the top ten. The next round of the MCE Insurance British Superbike Championship is a triple header round and takes place at Oulton Park on 9/10/11 August. Tickets are available in advance with children under 13 free. For more information and to book click here or call 0843 453 9000. 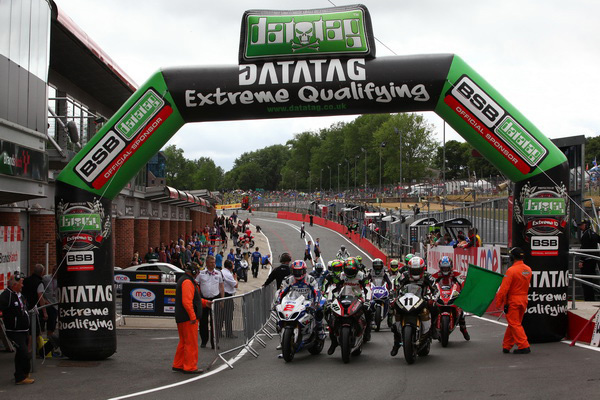 Shane 'Shakey' Byrne threw down the gauntlet to his MCE Insurance British Superbike Championship title rivals by claiming pole position at his home round of Brands Hatch after pushing ahead of Alex Lowes in the closing stages of Datatag Extreme qualifying. Alex Lowes and Josh Brookes pushed Byrne hard for the top spot, but in the final minutes it was the Rapid Solicitors Kawasaki that claimed his third pole position of the season as he aims for victory at his home circuit. Ryuichi Kiyonari made it two Samsung Hondas on the front row of the grid as he edged out James Ellison on the Milwaukee Yamaha in the closing stages. Byrne said: "I love winning at Brands Hatch as much as anywhere else and to get pole position here is good for the races tomorrow as I am sure we will have a wonderful crowd and some great racing between us. I need to score two good results tomorrow and if that is two wins to take me to 50 then that will be fantastic. We have worked hard so far and we are all running a very similar pace at the front so fingers crossed we have some good battles tomorrow." James Westmoreland lines up for race one on row two of the grid on the leading Buildbase BMW along with Chris Walker on the Quattro Plant Bournemouth Kawasaki and PJ Jacobsen, who put in a strong performance despite missing the morning session with a technical problem. Dan Linfoot and Michael Rutter completed the top ten for the Lloyds British GBmoto Honda and Bathams Honda teams respectively.